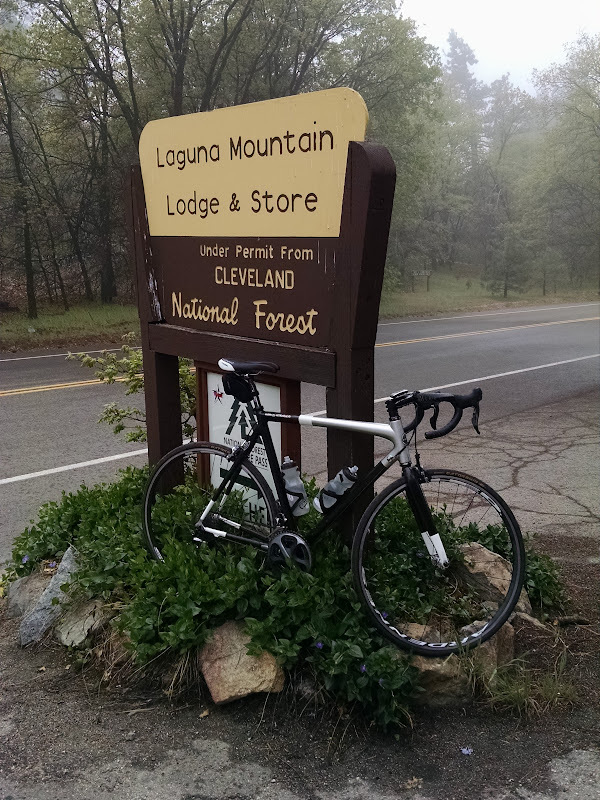 The Alpine Challenge is a hard ride in East County San Diego, leading from Alpine to Mount Laguna and back. The course starts in Alpine and initially heads west for a few miles, before looping back and passing the starting point. The ride then descends Harbison Canyon, ascends Dehesa Road, passes Loveland Reservoir, and climbs Japatul Road and Japatul Valley Road to Interstate 8. The route continues to climb on Highway 79 and Old Highway 80, passing Descanso and Guatay, before dropping into Pine Valley. 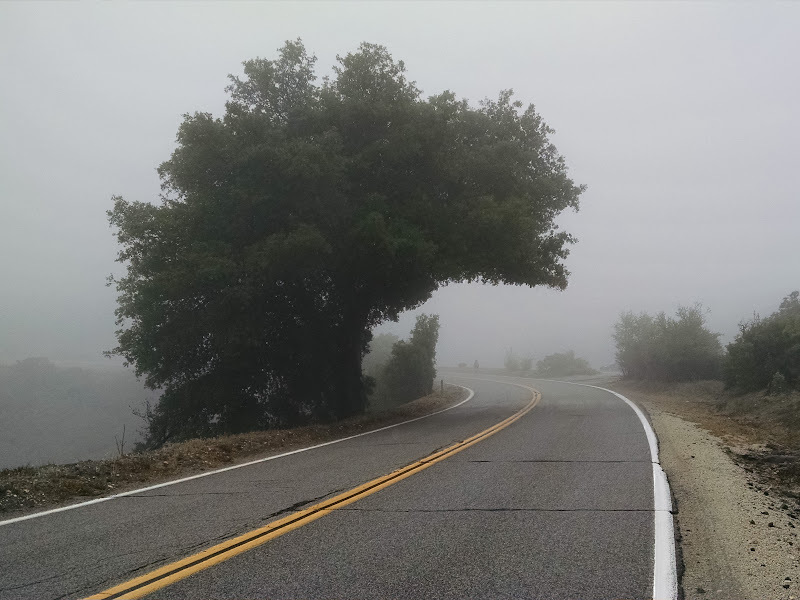 Sunrise Highway ascends to the top of Mount Laguna, at about 6,000 feet the highest point in San Diego County. 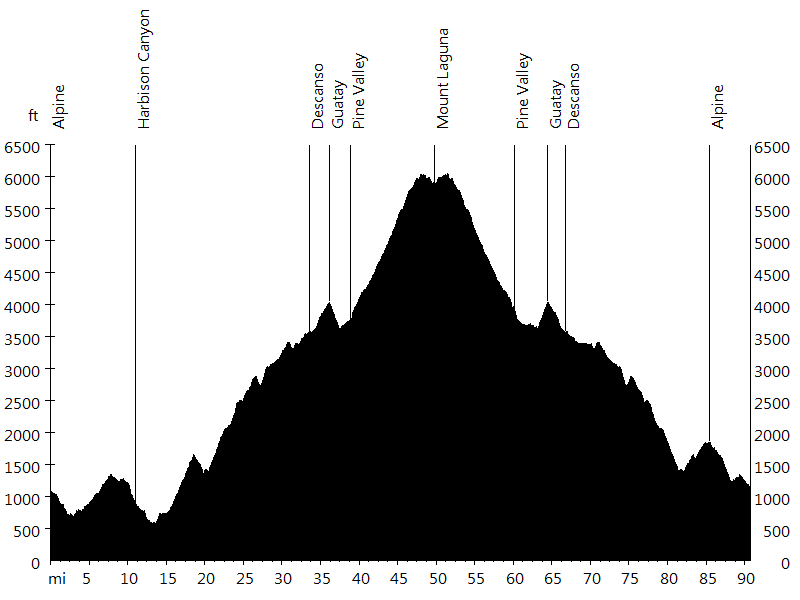 The ride back follows mainly the same course, with minor detours in Piney Valley and Descanso. Instead of using Harbison Canyon, the route climbs Tavern Road back into Alpine.